Alex Kohn (@lexkohn) is an academic librarian who has worked in copyright, scholarly communications and research support in libraries in Ireland, Italy, the UK and Canada. 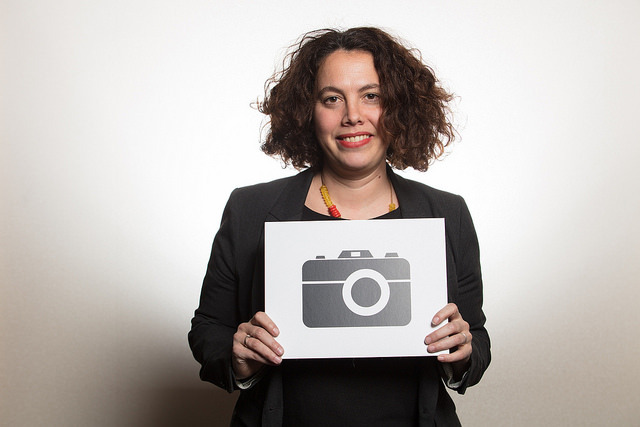 She is currently the Head of the Office of Copyright Compliance at McGill University Library in Montreal, Canada and a member of the Copyright Committee of the Canadian Federation of Library Associations (CFLA-FCAB). Alex used to work in the UK so had played Copyright the Card Game with us both a few year ago. We are delighted to receive this update on the progress being made by Alex and the team behind the Canadian adaption of our game. After many months of conference calls and Google Docs, on Friday June 1st, the Canadian Copyright Card Game Group (or C3G2 for fun) finally soft-launched the Canadian version of the Copyright Card Game at the ABC Copyright Conference in Vancouver [Ed – not hinting but we’d love to come to this conference next year]. 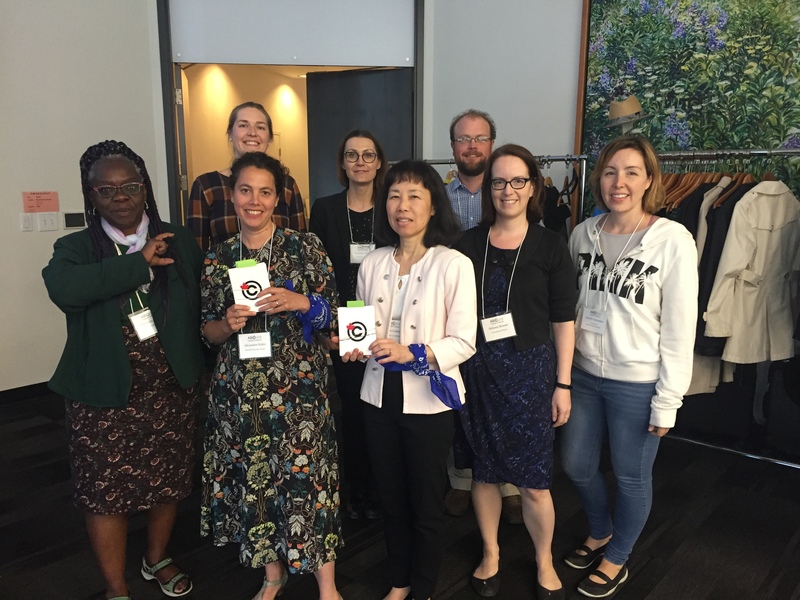 C3G2 is a group of nine copyright librarians and advisors from across Canada (and one in the US!) who were inspired by Jane and Chris’s original Copyright Card Game and wanted to adapt to work in a Canadian context. The members of the team had various different paths to encountering the Copyright Card Game. Some of us had seen the UK Copyright Literacy team present it in various contexts or had heard about it through colleagues and/or social media. 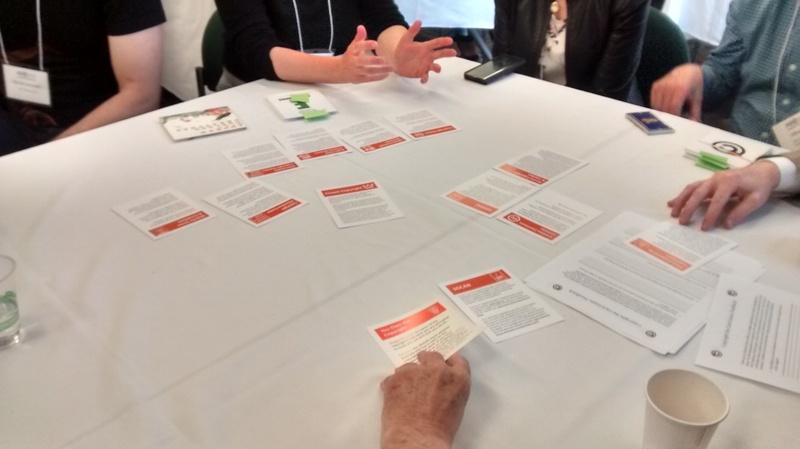 At the ABC Copyright Conference in 2017, two of the team members, Kate and Christina, presented on potential collaborations within the Canadian education copyright community, with the Copyright Card Game as one example. We then formed a working group at the conference and decided to try to present at least a beta version of the game at the 2018 conference. All of us are copyright advisors working in various library and higher education contexts who thought the game would be useful for us and other Canadian copyright educators, but we recognized the content of the game would have to be changed significantly to accurately reflect the Canadian legislative and licensing context. Since the members of the group were geographically spread out, we did work in small teams, through online collaboration and conference calls. Our first step was to split into teams of two or three, with each team assigned to work on one of the game’s suits (Works and Other Subject-Matter, Usages, Licences, and Exceptions). We used the UK version as our jumping off point and then adapted the cards to match the Canadian Copyright Act, the Canadian licensing context and our own practice and experience. Each team revised a suit of cards and posted them in a shared Google drive, where everyone in the group reviewed them and suggested changes and clarifications. We then needed to adapt the slides that drive game play, devising a warm-up quiz that works in a Canadian environment and coming up with different copyright scenarios for which the various suits have to be deployed. Once the content of the cards was finalized, Mélanie worked her design magic to make sure the layout worked properly for printing and used a combination of icons from the Noun Project and her own design for the graphic elements of the front and back of the cards. Working with a big team, especially when you don’t have a chance to meet up in person , can be quite a challenge. We adopted and abandoned at least one project management tool as well as several conference calling solutions but in the end we managed quite well through a combination of Google drive and calls. We were lucky to have the deadline of the ABC Copyright Conference to keep us on track with our work. We finalized the game just a few weeks before the conference and then it was time to take it out for a test run. When the group started work on adapting the game, I was the only one who had actually played the original, having been fortunate enough to be one of Jane and Chris’s early guinea pigs, when I worked with Jane at LSE back in 2015. However, even I wasn’t exactly sure how game play would work out at this stage. Christina and I beta-tested the game on a small group of library staff at McGill University, where I currently work. We had a few tech hiccups – nothing to do with the game, but a result of trying to have the game led by one presenter in Montreal and one in Regina, two time zones and almost 3000 kilometers away. However, game play went well and we were able to iron out a few rough bits before presenting the game to our much larger audience at the ABC Copyright Conference in Vancouver. I lugged my 10 sets of cards in my carryon from Montreal to Vancouver [Ed – I can testify that 10 sets of cards are heavier than they look!] and then the whole team had the opportunity to put the game into action. Lisa gave a short introduction to the game and then Christina and l led game play by going through the slides, with Kate and Rumi keeping score and Mélanie, Obianuju and Josh going from table to table facilitate. We were the last session of the conference so we weren’t sure how many participants we would end up with, but we got a big crowd, who were willing and enthusiastic with a boisterous, competitive spirit. 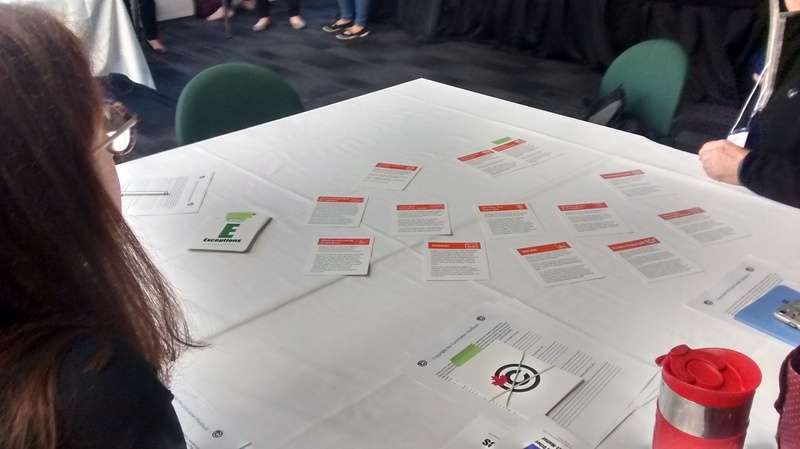 It was really useful to have the opportunity to test the game in front of a group of copyright education experts and we were definitely able to gather some sense of where game play and content worked well and where it could use some improvement. Our next steps are to collate the feedback participants gave us verbally and using the feedback form Josh designed and think about what changes that we want to make before releasing the game into the wild. We are also eager to translate the game into French so that it can be played in both of Canada’s official languages. Many thanks for Jane and Chris for designing the game so well in the first place, releasing it under a Creative Commons licence and supporting us and answering our questions along the way. They have also kindly agreed to host the Canadian version of the game on this website along with the other fabulous international versions have or are being developed, so watch this space! We hope to be able to launch Copyright the Card Game – the Canadian edition within the next few months, and also watch this space for the New Zealand edition which has been developed and is also currently being tested! Previous The Publishing Trap goes to Germany!